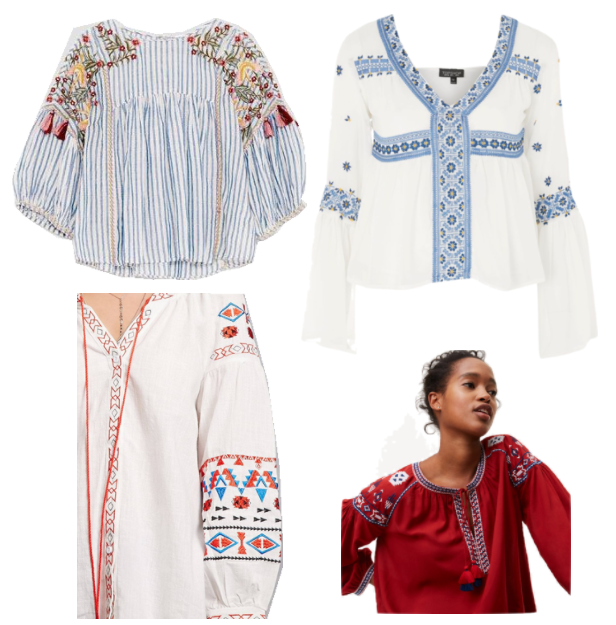 Two of my favorite trends transitioning into Fall; embroidery and pearls. I am in love with this Johnny Was top from Pavilion Utica Square. 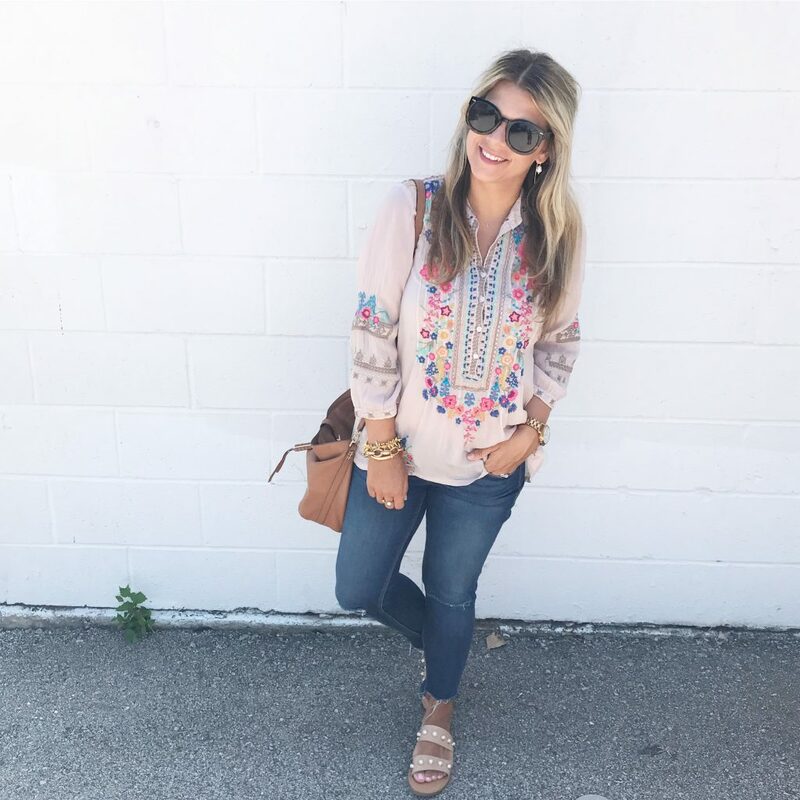 The embroidery is perfect and this top is so versatile! 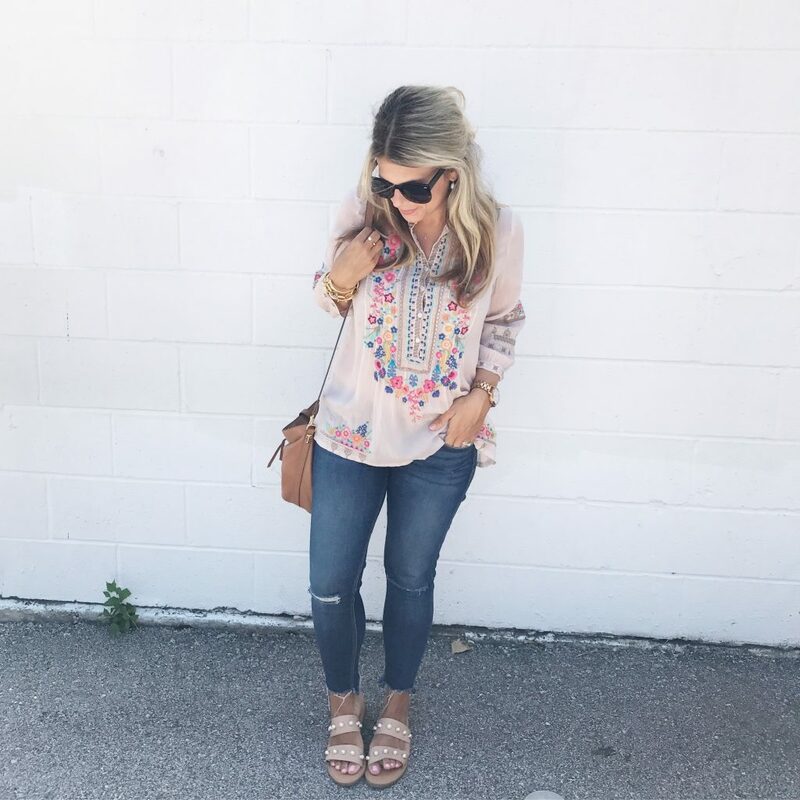 I paired it here with my favorite skinnies and pearl slides, but I also love it with cut offs! 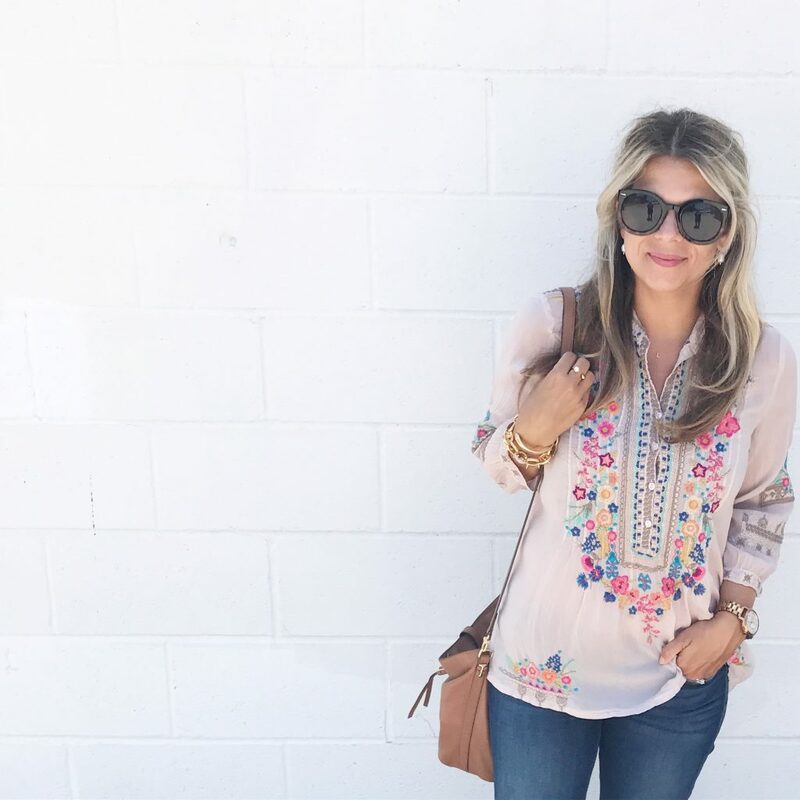 It will transition so easily by styling it with booties and a sueded moto for Fall! Johnny Was is a darling line, but I know it’s also an investment. 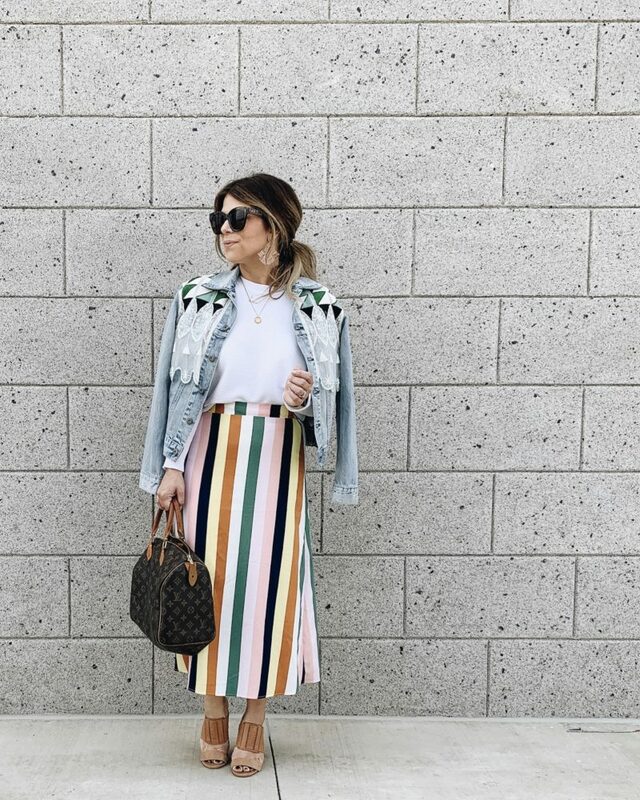 I am sharing a few tops below (all under $100) to help you recreate this look!